The Blackville Talon: Netbooks, a.k.a. "The Dark Ages Digital Device"
Mrs. Carrie Trevors (9T)- "The netbooks are great, when they work. I think that students should be permitted to bring their own laptops from home. This would free up a number of netbooks, and allow the students to complete more work at home." Mr. Johnston (11J)- "The netbooks have reached the end of their useful life. They were part of a pilot project that began in 2010. This project, after two years of significant paper work and research, has not been reported upon nor has any further action been taken. It has created a false sense of technology availability in Blackville school, and their demise will leave teachers and student feeling as if they have been plummeted into the digital dark ages. Let students bring their own devices; start working with their generation and the trend and not against them!" Gina Keenan (9U)- "I think the netbooks should be available for use, but we should be allowed to bring laptops from home for use as well. I believe we should be able to use our own if we have one because it would help make work from school be done on our own time more efficient." Cody Taylor (10C)- "The netbooks are alright. They are great to have but they only work half the time, and the ones that do work are missing keys and are barely in working condition. If we could bring our own laptops it would make everything so much easier. We'd be spending more time working on the projects instead of spending half of a class trying to find a netbook that is in working order. Also there would be enough computers for more than one class to use at one time. I hope that we are able to bring our own laptops soon." Jessica Donahue (10C)- "I think we should be able to (bring our own), because most times there aren't enough netbooks for everyone or half of them don't work." Michael Waugh (11J)- "My personal opinion on the school netbooks is that they are old, damaged, and almost too slow to use somedays. Students should be able to bring their own laptops to school and connect to the internet to do projects or even type notes. It would be much easier for the students instead of trying to find and/or get a netbook to work." Brooke Underhill (11J)- "I think the school netbooks are a great privilege to have while trying to complete school work. However, they rarely work and are not always trustworthy for saving information. I believe that we should be able to bring our own laptops from home, as we already have the programs we need on them, work would get done much faster and we would run into less difficulties." Curtis Donovan (12B)- "They are pretty good sometimes. I'm glad we have them, but they don't work sometimes so that's why we should be able to bring our own computers." 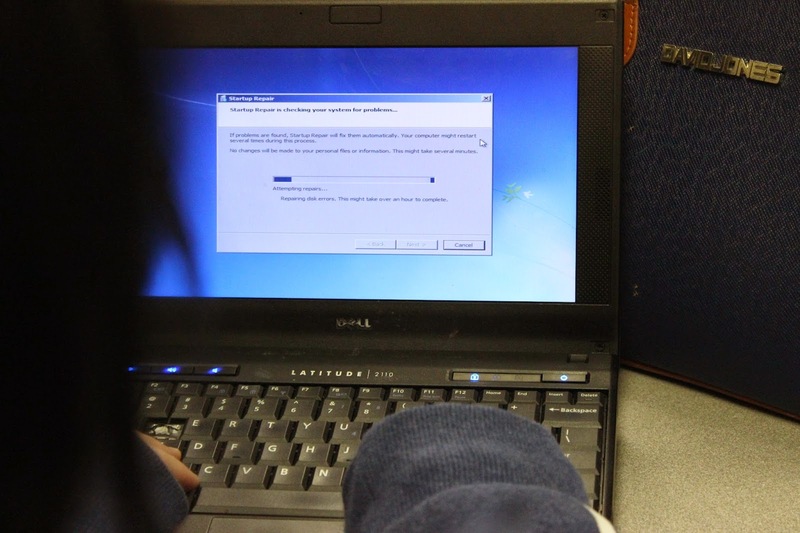 Felicia Stockless (12B)- "The school netbooks are a good resource for students but, sadly, we don't take care of them. We should be able to bring our laptops because it would give people without laptops the possibility to have better access to functional netbooks. Talk about that, too many students use one so it slows down the netbooks because they are worn out and in bad conditions."